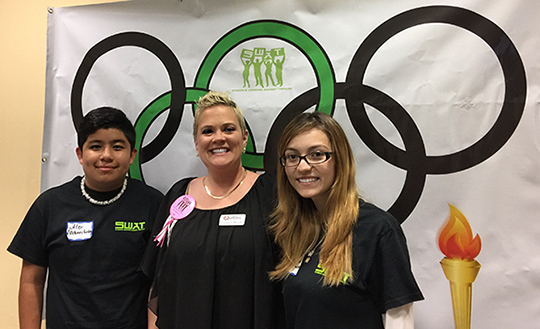 Students Working Against Tobacco (SWAT) Advisor Courtney Moyett brought two outstanding local SWAT Youth to a regional training opportunity in Fort Lauderdale on November 12. 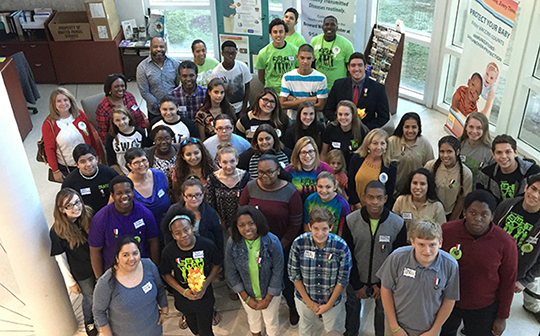 Yessica Hernandez and Alex Soriano, both members of The Okeechobee High School SWAT Club and leaders of their local SWAT Chapter, attended the training, where they learned a variety of new skills and provided valuable feedback on the work being done around the state to reduce the tobacco industry’s influence on young adults. Seasoned members of their SWAT Club, Yessica and Alex represented Okeechobee County at the training and brought their own unique perspective to the day’s activities, which included an opening ceremony hosted by the St. Lucie County SWAT Chapter and the statewide Youth Advocacy Board elections for Region 4 SWAT members.